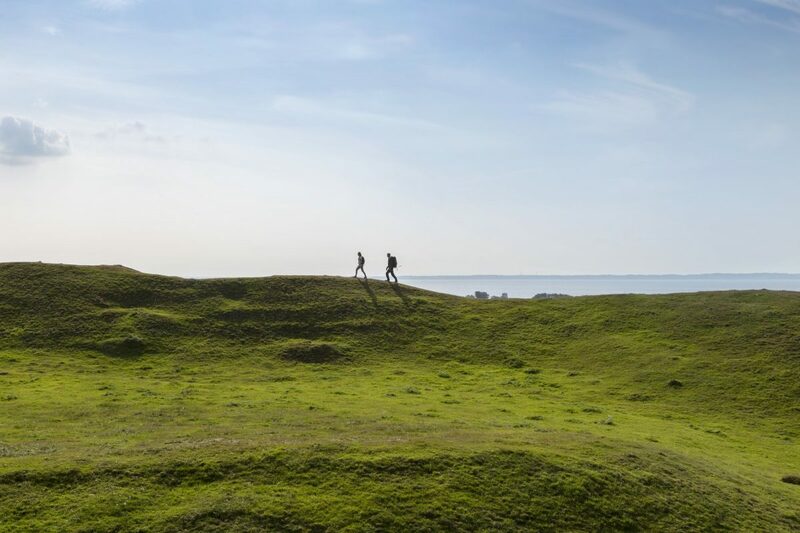 Båstad, located at Bjäre Peninsula, in northwestern Scania is a city not only known as a professional tennis mecca but also an excellent starting point for hiking in the region. That is why in autumn the first ever Båstad Hiking Festival takes places. In Sweden hiking has become very popular these last years. In Sweden and specially in Scania hiking is accessible to everyone with some routes prepared for people with reduced mobility. Closeness to nature and theme-based hiking routes with gastronomy and birdwatching in mind among others have contributed to broaden the offer. Can you imagine yourself this autumn walking uphill through forests with great seaviews on wonderful reddish and golden leaves? These are the natural ingredients which will be served during Båstad Hiking Festival which is scheduled from Oct. 12-14, 2018. During that weekend several walking routes have been programmed based on different themes. The festival is prepared with everyone in mind from professional hikers to casual walkers that just want to enjoy nature in a cozy walk. For starters, the festival begins with a conference and a welcome dinner for everyone. The routes are arranged by theme (gastronomy, film, adventure, photography, birdwatching among others), degree of difficulty and length. Every hiker has to pick one route for a day. Some routes are guided in English or Swedish. There are other kinds of programmed activities like yoga in the morning, boat tours to see the coastal hiking trails, boat trips for seal watching and even a social-hike to get to know better other fellow hikers. 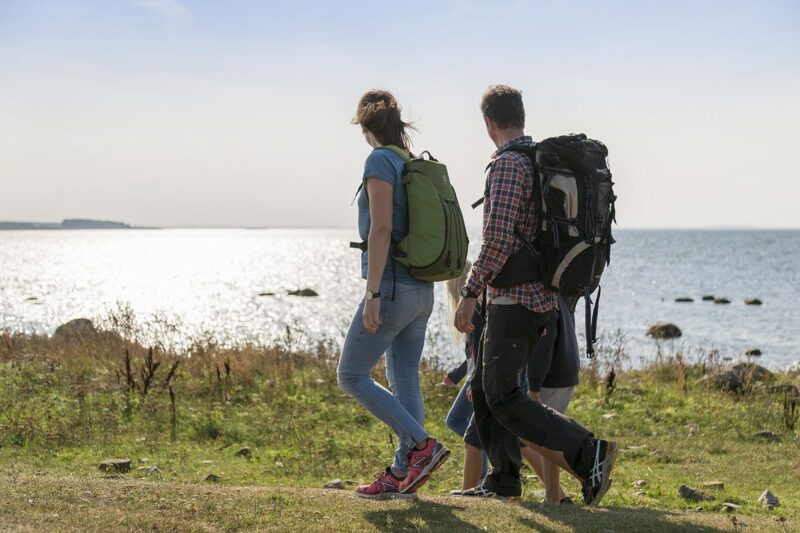 The programme of the hiking routes in Bjäre Peninsula is available on the official website so everyone can choose in advance the preferred route and register. An adventurous day full of adrenaline kicks. First arrival at the pittoresque town of Kattvik aboard a RIB boat. Then hiking towards the coast in Scania following the regional walking trail Skåneleden. Rappel takes place in one of the many rocks at Hovs Hallar, a landscape used by Ingmar Bergman in his film The Seventh Seal. This route takes the hikers to Hallandsåsen where they can enjoy wonderful views of Skälderviken Bay and Laholmsbukten Gulf. The trail goes through forests at Hålehall and the historical Älemosse and Lyaheden places where in the 17th century the Danes who fought the Swedes used to work and live. If you love hiking and are still guessing if you should come to Båstad Hiking Festival check this inspirational video. We were recently in Scania visiting Bjäre Peninsula and Hovs Hallar, Torekov, Båstad and many other places in the area. That was during our one-month long roadtrip in Sweden and I can assure you that if you make it to Båstad Hiking Festival you will enjoy your stay, the landscapes and the nature in the region. If you area searching for other things to do in Scania check this article where I wrote about 12 Things to Do in Scania*. In Scania there is also Kattegattleden one of the best cycling routes in Europe and a must-see attraction: Foteviken Open-Air Viking Museum. Leave me a comment below if you have any doubt or need help with preparing your trip to Sweden and I will get back to you as soon as possible.